This entry was posted on Sunday, January 5th, 2014 by Frances Ryan. 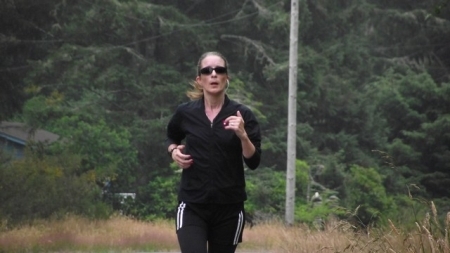 I set myself a challenge in 2012 and 2013 to run a race each month, but failed to achieve success because of illness, race cancellations, and life’s chaos. When it came time to think about my 2014 running goals, I realised that I would be unlikely to succeed in a race-a-month challenge for a variety of reasons, but I knew I needed to set a goal of some type. Of course, I still don’t know what that goal should be. I worry that if I set an unrealistic goal I’ll never meet it, but I can’t set a silly goal either because it does need to be challenging. But what do I do? I could give myself a finish-time goal or even a goal to run a specific number of marathons or half marathons. I could set arbitrary annual mileage goals or I could aim to improve my age category rankings. Only I don’t know if I’ll be able to meet those goals and I worry that setting them would make me force myself to overdo it when/if I get sick. And as my own illnesses are in part to blame for my inability to meet my 2012 and 2013 goals, that worry is a rather legitimate one. So instead of setting a hard-and-fast running goal (at this time) this year, I am just going to run. I’m going to map out new training routes (something I have to do now that I moved) and I’m going to work on improving my times on the routes—which is something I’ve always done with my mapped courses. I’m going to work on short runs just as much as long runs and I’ll add some good, strenuous hill climbing in for some good cross training, too. And in the next month or two, I hope to be in a better position to set myself a new running goal. Not a 2014 running goal, but rather a running goal to work toward before setting another running goal then another and another and another. Oh! And to get me into the running frame of mind, I have already registered for my first two races of 2014: The Inverness Half Marathon (March) and the Edinburgh Half Marathon (May). I don’t have a finish time set for them yet, but I am hoping to beat my previous half marathon times. I’m hoping that treating each race as an important goal of its own will help me to concentrate on that race instead of future races.